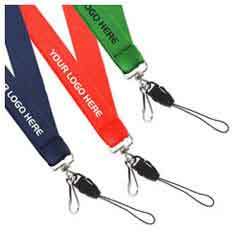 The alligator clip fitted to this flat polyester lanyard is one of our most popular styles of clips and is ideal for attaching to a card holder. 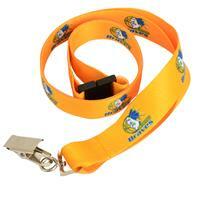 For your protection all our lanyards include a Safety Breakaway. 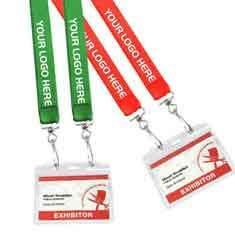 Double ended lanyards make it easy for you to keep your card holder nice and straight by having a separate attachment at each end of the lanyard. 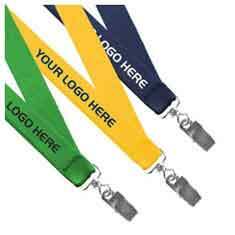 For your protection all our lanyards include a Safety Breakaway. 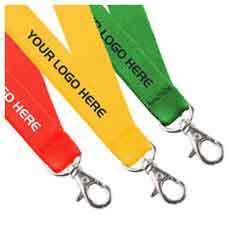 The heavy duty swivel clip fitted to our flat polyester lanyards are perfect when you need a more sturdy attachment to clip onto your possessions. 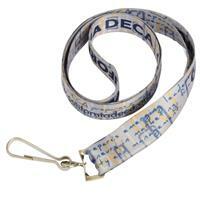 For your protection all our lanyards include a Safety Breakaway. 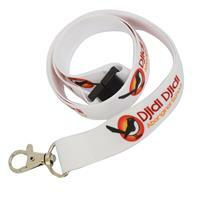 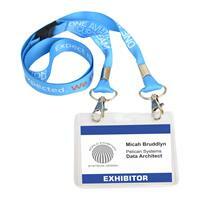 This flat polyester lanyard is fitted with a snap swivel hook making it super easy to attach your card holder etc. 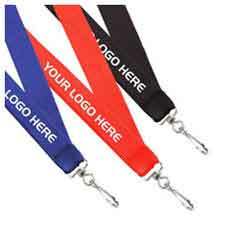 For your protection all our lanyards include a Safety Breakaway.